Wikileaks has been removed from Amazon's cloud computing servers, following the latest batch of high-profile leaks of US diplomatic messages. However, the move will not affect the online distribution of the diplomatic cable files, which are now being shared via Bittorrent. 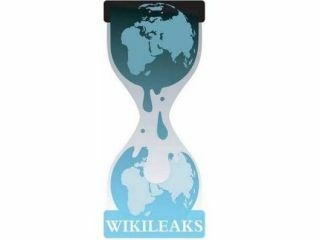 Wikileaks so-called "cablegate" file containing the leaked diplomatic files is already being widely distributed via Bittorrent, being shared by thousands of users directly online. Wikileaks is moving its hosting back to the Bahnhof ISP in Sweden, according to DNS checking. WikiLeaks confirmed the move from Amazon's server on its Twitter feed this week. "WikiLeaks servers at Amazon ousted," read the post. "Free speech the land of the free--fine our $ are now spent to employ people in Europe." Another Twitter message from WikiLeaks read: "If Amazon are so uncomfortable with the first amendment, they should get out of the business of selling books." U.S. Senator Joe Lieberman said of Amazon's move: "I wish that Amazon had taken this action earlier based on WikiLeaks' previous publication of classified material. "The company's decision to cut off WikiLeaks now is the right decision and should set the standard for other companies WikiLeaks is using to distribute its illegally seized material."